Invest In Real Estate - No Tenants, No Rehabs ... sell your own home every two years! Imagine making $250,000 and not having to pay taxes on it. That's the generous tax break - the home sale exclusion - homeowners are entitled to when they sell their primary residence for a gain after having lived in the home for at least two of the five years immediately preceding the sale. Couples can shelter $500,000. It is true in most cases. 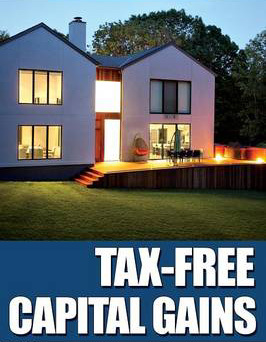 When you sell your home, the capital gains on the sale are exempt from capital gains tax. Based on the Taxpayer Relief Act of 1997, if you are single, you will pay no capital gains tax on the first $250,000 you make when you sell your home. Married couples enjoy a $500,000 exemption. There are, however, some restrictions on this exemption. 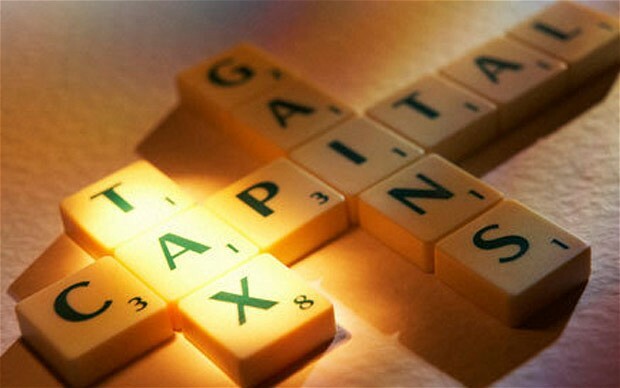 If you buy a home and a dramatic rise in value causes you to sell it a year later, you would be required to pay capital gains tax on the gain. This rule does, however, allow you to convert a rental property into a primary residence because the two-year residency requirement does not need to be fulfilled in consecutive years. For example, suppose that you invest in a new condo. You live in it for the first year, rent the home for the next three years and, when the tenants move out, you move back in for another year. At the end of this five-year period, you will be able to sell your condo without having to pay capital gains tax. The other major restriction is that you can only benefit from this exemption once every two years. 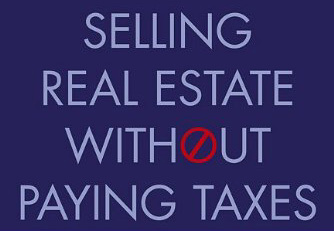 Therefore, if you have two homes and lived in both for at least two of the last five years, you won't be able to sell both of them tax free. The method of holding title is not important. For a married couple to claim up to $500,000 tax free, only one spouse's name need be on the principal residence title, providing both meet the occupancy test. Or, if title is held in a living trust, new IRS regulations clarify that the full tax exemption is still available.